Today we're celebrating by featuring a guest TeachingAuthor interview with the wonderful poet, author, teacher, and now, editor, Heidi Bee Roemer. And I'm THRILLED to announce the forthcoming release of the brand new poetry anthology edited by Heidi and Carol-Ann Hoyte: And the Crowd Goes Wild! A Global Gathering of Sports Poems--ATCGW for short. The anthology, which is illustrated by Kevin Sylvester, includes 50 sports-related poems by poets from ten countries. I am honored to be one of those poets, and I have to say that I'm in some pretty amazing company, including Charles Ghigna, J. Patrick Lewis, David L. Harrison, Avis Harley, Priscilla Uppal, and my former fellow TeachingAuthor, JoAnn Early Macken. ATCGW is geared for children ages 8-12, and showcases nearly 30 different poetry forms. A portion of royalties from both the paperback and e-book editions will be donated to Right to Play, an international organization that uses sports and games to educate and empower children facing adversity. 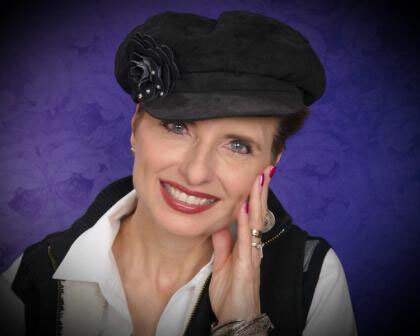 In case you don't know Heidi Bee Roemer, here's an excerpt from her bio: With nearly 400 poems, articles, and stories in various children’s magazines and anthologies to her credit, Heidi is also a song lyricist and children’s book reviewer. Her debut book, Come to My Party and Other Shape Poems, (Henry Holt) received starred reviews and was nominated for several awards. Her newest books are both from NorthWord Press: What Kinds of Seeds are These? and Whose Nest is This? Heidi is a former instructor for the Institute of Children’s Literature, and currently serves as a writer-in-residence for several Chicago Public schools. 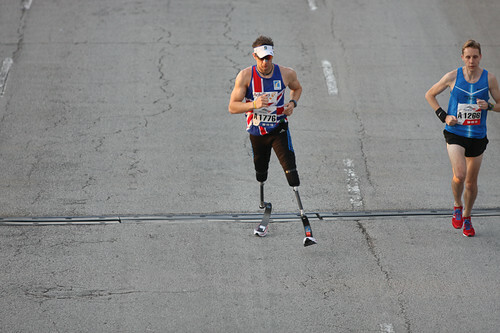 The crowd roars as another runner rounds the bend. same as the year our country declared independence from his. poem excerpt © 2012 Carmela Martino. All rights reserved. Heidi, will you tell us how you became a TeachingAuthor? My “on the job training” experience as a teacher is based on nearly 300 school presentations and library visits. As a poet-in-residence for Chicago Public Schools I learned how to make poetry lessons informative, lively and fun! In 2001 I was accepted as an instructor for The Institute of Children’s Literature, a college-credited correspondence course for adults who want to write for children. I also teach poetry to adults and children in various local venues. What's a common problem/question that your students have and how do you address it? New poets often write rambling, overly-long poems and approach revision with reluctance. Most rookie poets need guidance on how to trim, tighten, and tweak their words. Someone wisely wrote: “Poetry is a can of frozen orange concentrate. Add three cans water and you get prose.” I agree! Want practice writing succinctly? 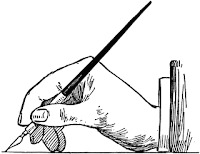 Write terse verse because it contains only a few words per line. Children’s terse verse may be sprinkled with rhyme, alliteration, assonance, and wordplay. Closing lines should illicit a response from the reader—a sigh, gasp, smile or giggle. To understand how to write stellar poems for children in any poetic form, I often direct aspiring poets to magazines such as High Five, Babybug, Ladybug, Spider, Hopscotch, Boy’s Quest, Fun for Kids, Turtle, and Humpty Dumpty. Those wishing to be published in these specific magazines should study not just one issue, but two or more years of back issues. Ride it. . . .
poem excerpt © 2012 Ellen Ramsey. All rights reserved. 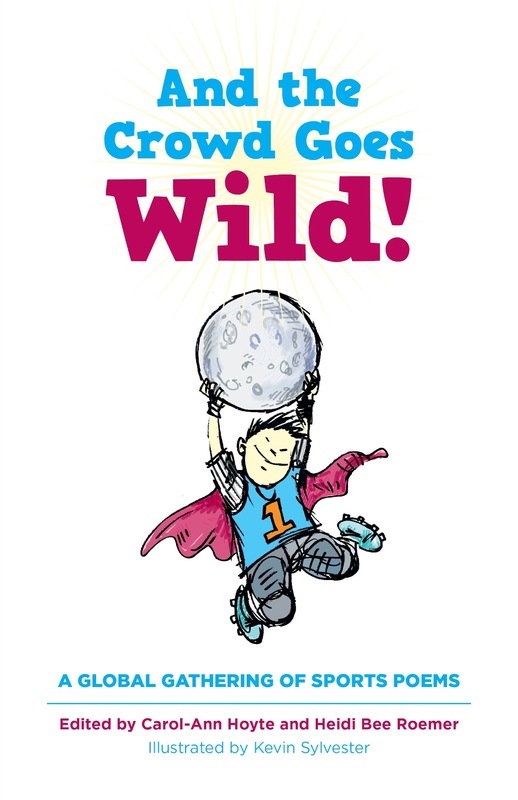 Do you have any suggestions for teachers on how they might use And the Crowd Goes Wild! in the classroom? Educators will find ATCGW an easy fit with school curriculum. 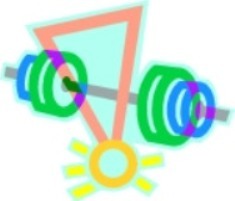 One suggestion is to engage students in related physical activities. For example, Laura Purdie Salas’s roundel is about goalball, an official sport of the Paralympics games; visually impaired players chase a ball that contains a bell inside. Using a cat toy with a bell inside, let blindfold students try to toss and catch the toy, aided only by the ringing sound. Patricia Cooley’s free verse about chess, “The King’s Gambit,” can also be creatively adapted. Students can hold large cardboard replicas of chess pieces (rook, pawn, bishop, etc) and play a life-size game of chess. ATCGW can be used as a study of various poetry forms. The end pages identify nearly 30 poetic forms found in the anthology, such as haiku, limerick and shape poems, as well as less familiar forms: cleave, etheree, and palindrome. Keeping a poetry journal, students can study the various forms and write a new poetry form each week. 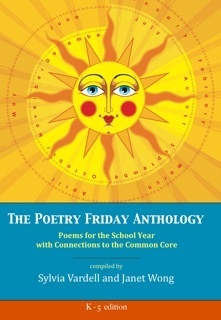 ATCGW also introduces students to poets featured in the book. Some contributing poets are recognized and revered around the world, others are just at the cusp of their writing careers. Students can visit the poet’s website or blog. If the poet has published other books, students might read those as well. Geography can play a role in classroom studies, too! Students can use pushpins and a world map to indicate where each poet lives. Once the study is done, students may write an email or letter to their favorite poet. ATCGW is your first project as editor. What’s the experience been like? Would you do it again? My dream job is to be a poetry editor for a children’s magazine. So when the book’s creator, Carol-Ann Hoyte of Montreal, Quebec, Canada, asked me to be part of this international “Olympic-related” sports poetry project, I jumped at the chance. It’s an exciting experience to discover new talent and see a book come to life. Yes, I would love to edit another poetry anthology—or children’s poetry magazine, for that matter! I know you’ve lined up a number of events to promote ATCGW around the world involving some of the contributors (including ME!). Would you tell us about some of those events? 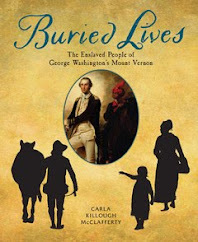 Carol-Ann and I are excited about our upcoming book launches this fall. The U.S. launches will feature eight Illinois poets. 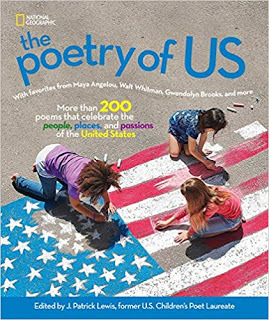 ATCGW’s official “Poetry Team U.S.A.” includes contributors Cathy Cronin, Patricia Cooley, Heather Delabre, Claudia Kohlbrenner, Eileen Meyer, Patricia Murphy, Heidi Bee Roemer, Michelle Schaub, and (yay!) 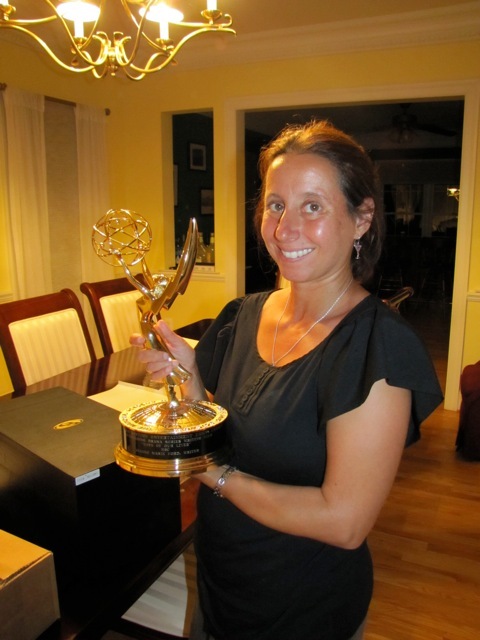 today’s TeachingAuthor interviewer, Carmela Martino! My heartfelt thanks, Carmela, for letting me tell your dedicated followers and fellow poets about And the Crowd Goes Wild! A Global Gathering of Sports Poems. I hope your readers will check the listings below and join us for an hour of poetry, poets, prizes and fun surprises! Thank you, Heidi, for this great interview, and for allowing me to be part of And the Crowd Goes Wild! A Global Gathering of Sports Poems. Below is information about the book's first two launch events. I'll be posting additional dates and times next Friday. Meanwhile, don't forget to enter our contest for your chance to win an autographed copy. See the details at the end of this post. 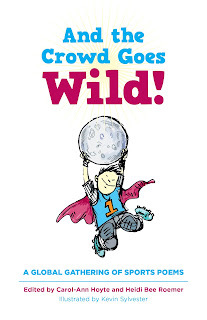 Thursday, September 13 at 7 p.m.
Wednesday, September 26 at 6:30 – 7:30 p.m.
You must follow our TeachingAuthors blog to enter for a chance to win an autographed paperback copy of And the Crowd Goes Wild! A Global Gathering of Sports Poems. If you're not already a follower, you can sign up now in the sidebar to subscribe to our posts via email, Google Friend Connect, or Facebook Network blogs. by sending an email to teachingauthors [at] gmail [dot] com with "Book Giveaway" in the subject line. Whichever way you enter, you MUST give us your name AND tell us how you follow us. If you enter via a comment, you MUST include a valid email address (formatted like: teachingauthors [at] gmail [dot] com) in your comment. Contest open only to residents of the United States and Canada. Incomplete entries will be discarded. For complete giveaway rules, see our Book Giveaway Guidelines. Entry deadline is 11 p.m. Tuesday, Sept. 11, 2012 (Central Standard Time). The winner will be chosen in a random drawing and announced on Sept. 12. 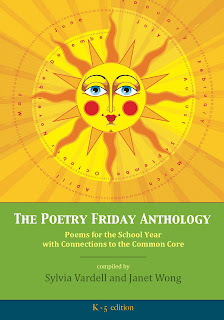 And after you've entered, don't forget to check out this week's Poetry Friday round-up at Poetry For Children. No, it's not Poetry Friday; still, I'd like to talk about how to catch a poem today. But first--today's Eli's 3rd birthday! Every morning, Eli and I walk to our local coffee house. Eli thinks we're on a walk, but actually, we're on a poem hunt. To catch a poem, I've learned some guidelines: be present. Be silent. Be aware of shoe sounds on the sidewalk, of the crow on the wire, of the yippy dog down that steep hill. Poems may be hiding in a memory that slips past my distracted brain. Some mornings I catch a full-grown poem, some mornings only larvae. On our hunt the other day, I remembered what one of my friends said: "I'm learning to live in the question, rather than search for the answer." Doesn't that sound sane, calming, and maybe just a tad Be-Here-Now-ish? As I stood in line for my coffee, I wondered what questions I was fretting over. Could I just hang out in my questions for awhile? One was what to do with my never-good-enough novel-in-poems. Another was how to deal with my 89-year old mother without the tension I feel when she forgets something I just told her. Oh,no...you didn't...how could you...not again?!? Bad dog! (c)2012 April Halprin Wayland all rights reserved. 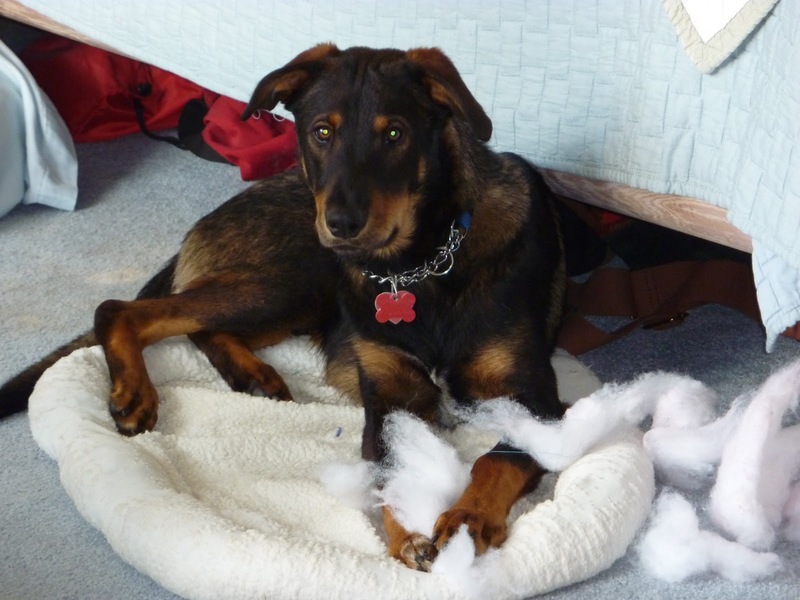 Thankfully, Eli's past the chewing phase. When he turned two, it was as if he walked through the door marked CALM DOGS ONLY. So if you have a big doofus dog, take heart--there's hope! 1. What question are you fretting over? Or...what question would your pet or an inanimate object fret over? 2. Write a poem about it. 4. Remember why you started writing in the first place and write with joy! Poem, photos and drawing (c)2012 April Halprin Wayland. All rights reserved. Labor Day used to mean the start of the school year. However, down here in the South, school started three weeks ago. As an adult empty-nester writer, the Labor Day now means something else entirely. Labor Day begins "Book Festival Season." the Southern Festival of Books in Nashville. I was hooked. Who knew you could spend a whole weekend listening to writers talk, going to book signings, and hanging out with other people who love books as much as you do? With the publication of Yankee Girl and My Best Friend, I was invited to appear at Southern Festival two years in a row. I thought I'd died and gone to Book Heaven. Since then I've been a guest at any number of book festivals, large and small (who knew there were so many of them??). My local favorite, the Decatur Book Festival, is this weekend, just twenty five miles down the road. Alas, I won't be there. I will be at a festival of another kind...my 40th high school reunion. It was a tough call, deciding between the two events. True, I will never have another 40th high school reunion...but when am I going to see Meg Cabot, Kevin Henkes (my personal role model), David Levithan, Shannon Hale, Barry Lyga, Chris Raschka, Neil Schusterman all in one weekend? ...and those are just some of the children's and YA authors appearing. There are over 300 authors presenting over three days, both adult and juvenile authors. The best part? It's all FREE!!! Your biggest problem will be finding a parking place and trying to choose which authors you want to see. Oh well. There will be another one next year. Katherine Paterson, Judith Viorst, and Ed Young. That same weekend, the mother-of-all book festivals, the National Book Festival, will be in full swing on the (where else?) National Mall. This is the premier book festival (in my opinion) to meet and hear children's authors. Do any of these names ring a bell? Avi. Mary Pope Osborne. Patricia Polacco. Jerry Spinelli. John Green. Ellen Hopkins. Lois Lowry. Walter Dean Myers. Jacqueline Woodson. I thought so. The Austin Teen Book Festival is one that I would love to attend as a teen (well, that boat has sailed!). This event connects teens with YA authors. Who's going to be there, besides a couple of thousand book-loving Texan teens? Elizabeth Scott, Marissa Mayer, Libba Bray, Neil Schusterman, Rachel Cohn, Guadalupe Garcia McCall...thirty-six in all. Wisconsin's Book Festival in Madison, November 7-11 is still lining up their venues. Right now, their children's/YA roster includes George Ella Lyon, Patricia McCormack, Pat Schmatz, and Rita Garcia-Williams. Book festivals are free, family-friendly events, with something for everyone. There are puppet shows, slam poetry readings, open mike readings, face-painting...and books. Lots and lots of books for sale and signing. Although I have mentioned only children's writers in this post, with the exception of the Austin Teen Festival, all of the others offer a variety of adult writers--every thing from poets and historians, to true crime and cookbook authors. These are just a handful of the many, many book festivals slated for this fall. Check your local bookstore or university to find one near you. Go find a book festival this weekend. P.S. Book festivals make great cheap field trips. I'll stop there, because it's simply LIFE. You know how it goes. But because this summer felt especially crazy for me, my well of creativity is currently running on empty. It happens to all of us at times, and I've enjoyed learning how my fellow TAs tackle the problem. Amazing how we all find different ways to refill. What works best for me is reading. 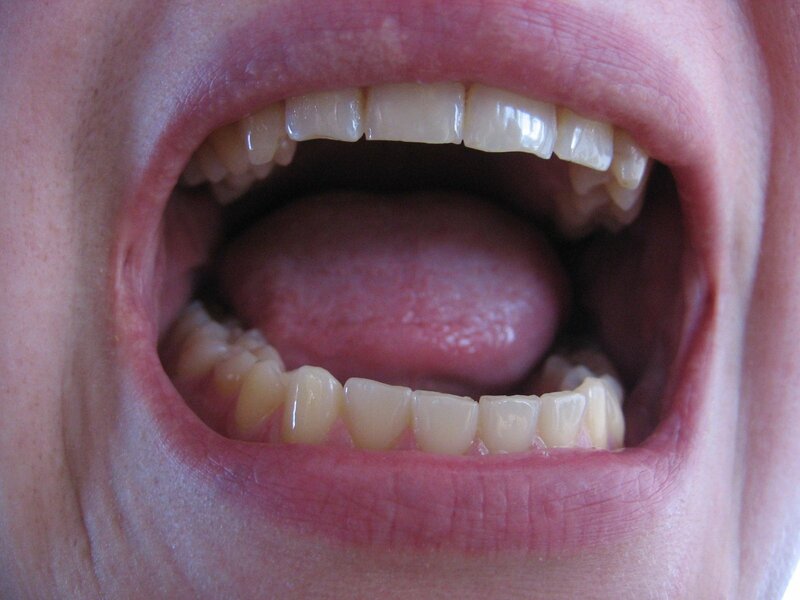 "The voice – a woman's – cut through the shop like a falling icicle." "She was staring at me through her lenses like a birdwatcher who has unexpectedly come upon the rare spotted crake." "I could almost follow her thoughts as the piano's notes went flying past my ears like birds from a forest fire." Ideally, a simile provides insight into your character and/or makes a reader see something in a new, very specific, way. An effective simile should be distinct, delightful, unexpected. I don't know about you, but reading the ones above makes me want to write snappier similes myself. I also know that when I feel ready to begin the middle grade novel now lodged in my head, my writing is going to benefit enormously from having read Mr. Bradley's work. This one's easy and fun. Below are ten clichéd similes. Brainstorm fresh alternatives. If you can make them voice-specific to a character from your current work in progress, so much the better. Of Silver Linings and the Suffix "er"
Meteorologically-speaking, 2012 will go down in the Record Books as The Year of the Drought. And metaphorically-speaking, as this series of TeachingAuthors posts affirms, writers too face droughts at some point in their writing lives. share my seemingly-simple prescription for anyone suffering the pain and heartache of Writer’s Drought. "GARDENS THRIVING IN DROUGHT – JUST ADD WATER." Stacey Wescott's newspaper photo showed an Arlington Heights gardener Kathy Wolan harvesting tomatoes. Wolan shared the secret to her bumper crop of basil and fabulous green beans. "We couldn't control the sunlight or heat this year, but we could control the water." So, my Rx for writers wishing to thrive during their particular droughts? Maybe not that Great American Novel you know lives inside of you; maybe not that poetry collection you believe with all your heart you were put on Earth to write. a suffix used in forming nouns designating persons from the object of their occupation or labor ( hatter; tiler; tinner; moonshiner ), or from their place of origin or abode ( Icelander; southerner; villager ), or designating either persons or things from some special characteristic or circumstance ( six-footer; three-master; teetotaler; fiver; tenner ). a suffix serving as the regular English formative of agent nouns, being attached to verbs of any origin ( bearer; creeper; employer; harvester; teacher; theorizer ). A writer is - simply - a person who chooses and orders words to (fill in the blank) – tell a story, communicate information, cause a giggle, soothe a hurt, help remember, help remind, share an experience, define a purpose, amuse, entertain, encourage, inspire, copy, imitate, and on-and-on (see The Writing Workout). Several poems, two of which, “The Writer’s Drill” and “Super Key Man,” were chosen to be published in THE POETRYFRIDAY ANTHOLOGY! And finally, emails, lots an’ lots of emails! – encouraging, supporting, apprising, affirming, praising, extolling, questioning, answering, clarifying, contributing, recommending, suggesting, explaining, teaching, pontificating, apologizing, empathizing, sympathizing and sometimes, just out-and-out catching up. I sure hope you did too! Surprise yourself! See how much YOU wrote this summer! For starters, revisit this Summer’s days and nights, noting your Writerly Behaviors. Next create a list of Everything You Wrote This Summer. And I mean everything! Contracts, excuse notes, RSVP’s, contest jokes, directions, songs, tweets, poems, conference notes, book blurbs, questions for your doctor, a letter to the editor, a magazine article, letters to your campers, report cards, you-name-it. 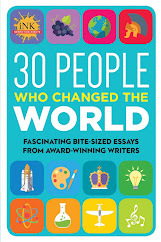 Or, create a list of Everything You Wanted to Write This Summer, but Didn’t – or - Couldn’t – or - Wouldn’t – or - Shouldn’t. Think about writing at your keyboard, in your Writer’s Notebook, on your calendar pages, in the margins of your cookbook, even on your sidewalk! Writing in Your Head – i.e. Wandering and Wondering – counts too. Think conversations you so wished you’d had; words you wish you’d spoken; words you wish you’d heard. Finally, see if you can order your words to create a list that reflects just who you are, how you come at the world, what you find pleasant, what makes you smile. Maybe arrange your actions in alphabetical order – or by time of day – or by location or people groups. Tinkering with the words and how they sound and look is absolutely allowed. This was my summer of quasi-leisure. Of time, of opportunity, of pleasures large and small. I had all the best plans to make my writerly best of it. On first glance, I failed miserably. As I have often lamented, since I've had kids, my writing time has been severely limited. Yes, I write every day, and I love what I do; but I have little time to devote to my own projects and even less willpower and discipline. I am not a journal-keeper or a Morning Pages type of gal; however, I never used to need prodding to make time to write. Sometimes I wonder: Have I lost the drive? Have I run out of things to say? Or I am I just in limbo, socking away ideas until a more fruitful time in my life comes again? I promised myself that this summer I would write like the wind. In fact, I took a picture book writing class, and I did write. I dusted off my novel and made a little bit of progress. The truth is, I could have made much more. But instead, I played. I went to the pool with the kids. Watched them skate and flip and play. Took them to baseball games, to amusement parks, to DC. Spent time with my husband. Loved every minute of this magical summer. Yes, I am one of 22 writers on the team and yes, I had to pay for my own statue, but hey -- it's cool. Unlike me, my daughter spent a lot of time writing for pleasure this summer. I paged through her journal this morning and was struck by the common thread in each entry. "Today is going to be a great day." "Today was the best day ever." "I can't wait to ___." "I love ____!" Takeaway lesson? You need time to BE in order to be inspired. Take time to soak in and enjoy and live. And I hope I'm not feeding myself a line so that I don't feel guilty. Actually, I refuse to feel guilty. If I never write another word again (unlikely), this summer was worth every minute. We Have A Winner! And We Have A Writer's Drought Poem for Poetry Friday! Happy hot and glorious summer! I'm loving this hotter-than-usual Southern California summer: lying on hot cement by the pool in a wet bathing suit, barefeet, no sleeves, long days, bright mornings, driving with all the windows down, sleeping with all the windows open, taking Eli to the dog park early because he's black and brown and otherwise he gets too hot to romp like a pony, cold drinks with just the right kind of crunchy ice...I can go on listing all the things I love about summer. Speaking of lists, we have a winner of Sylvia Vardell's book, THE POETRY BOOK OF LISTS! If you were on vacation, Sylvia was our Mystery Guest Author on August 3rd. It was very exciting. And so is announcing the winner, who is...dum-dah-dah-dum...Carl Scott! Yay, Carl! OR HOW I FILL THE WRITING WELL. Mary Ann posted about finding at least three things to write in her journal each day that trigger her curiosity. 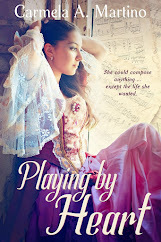 Carmela posted that she replenishes her writer's well by taking herself on an artist playdate. And Carmela tells us about her friend, Leanne Pankuch, who writes a page a day. My contribution is the following poem, inspired by our topic. we've been through Hard Times. so the winds won't blast dust into 'em. Our typewriters go thirsty on parched parchment. We've got scrawny stories—or none at all. Well, Sir, then so can we. poem © 2012 April Halprin Wayland. All rights reserved. 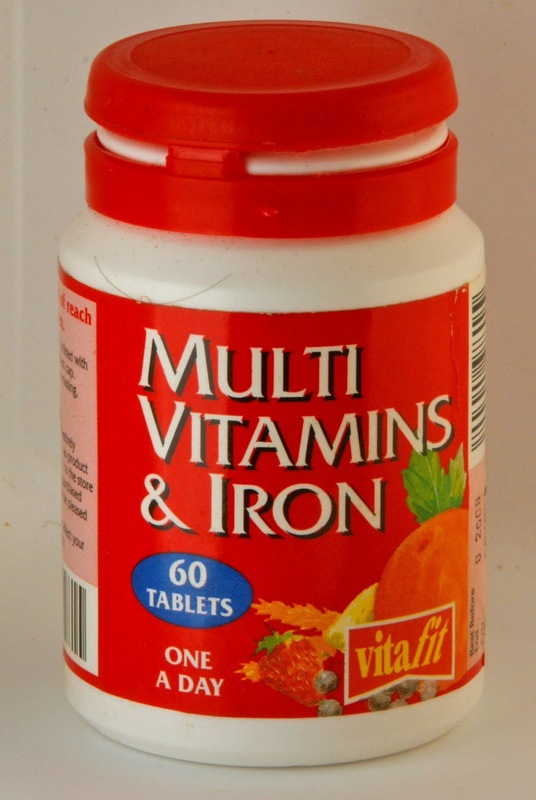 Raise your hand if you take vitamins. Now look at the vitamin bottle. Do the directions say: take one when the mood strikes you? I challenge you to write something, anything, every day, even if it's small, even if it's crummy. The trick to doing this consistently, for me, turned out to be connecting with a writing buddy. You may remember that I write a poem a day and send each one to my friend who sails around the world in a trimaran. Well, Bruce is now writing a poem a day, too, and sending them to me. It's a lovely circular thing. One brilliant poem a day? Ha ha. Some rare days the poems are wonderful. I give those a star. Some days they're just okay. Poetic possibilities in waiting. And some days, wandering in a desert, or depleted by Real Life, I can only squeeze out what Bruce and I call a PHP--a Place Holder Poem. So every day, take your vitamins. Write a page or a poem. And walk out your door into the world feeling virtuous. You are a writer. Thanks to Andromeda at A Wrung Sponge for hosting Poetry Friday! (Note from Carmela: Andromeda's roundup didn't come out until Saturday. Like much of the United States, Illinois is experiencing a terrible drought this year. Earlier this month, the USDA declared 98 of Illinois's 102 counties "disaster areas" because of the combination of drought and heat. Interestingly, the county I live in is one of the few NOT designated a disaster area. You'd never guess it from looking at the parched lawns around here. I was inspired to suggest the topic of "writing droughts" to the TeachingAuthors team after reading "A Writer's (non) Drought" by my friend Leanne Pankuch on her blog. Leanne quotes a local meteorologist as saying, “Drought begets drought,” and talks about how the phrase is as true about writing as it is about weather. I agree. On Monday, Mary Ann shared how she uses her journal to "prime the pump" by noting brief observations. Similarly, Leanne finds that journaling at least a page a day helps her get the writing flowing again. I sometimes use similar techniques. However, one of my favorite ways to deal with a writing drought is to go on what Julia Cameron calls an "Artist Date" in her book, The Artist's Way: A Spiritual Path to Higher Creativity (Tarcher Books). The Artist Date is a once-weekly, festive, solo expedition to explore something that interests you. The Artist Date need not be overtly “artistic”– think mischief more than mastery. Artist Dates fire up the imagination. They spark whimsy. They encourage play. Since art is about the play of ideas, they feed our creative work by replenishing our inner well of images and inspiration. If you have two minutes, I recommend you watch this videoclip of Cameron describing how an Artist Date works before reading on. 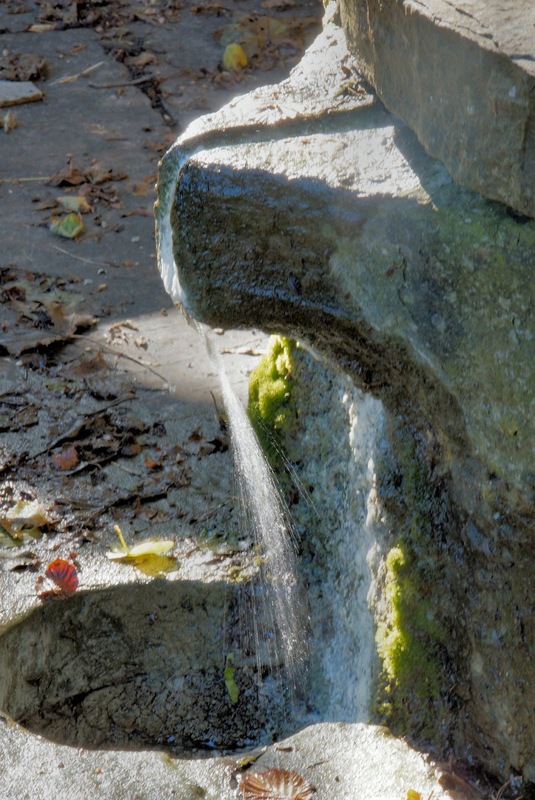 When I found the adjacent photo on Morguefile, I thought it a great image to represent what Cameron calls "replenishing our inner wells." (Click on the image to enlarge it.) 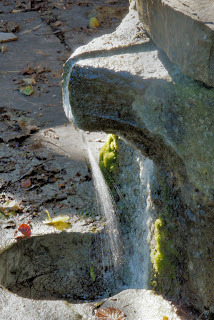 The photographer says the photo is of "water flow at the Holy Well in Edington Somersetshire England." To me, the inner source of our creativity is indeed "holy." While I enjoyed all of the above, I found the last two especially fun. I don't consider myself at all "artistic"--I tell people I can't even draw a decent stick figure. So finding that I could create, with my own hands, something I found visually appealing was very affirming. Plus, using colored pencils made me feel like a kid again. (I'm smiling just remembering the experience.) And the process must have activated the creative center of my brain because I came up with all sorts of wonderful ideas. Funny--despite how much I enjoy Artist Dates, I can't remember when I last took one. I think it's time I do. There's no need to wait for a writing drought. See the (un)Writing Workout below for more on planning your own Artist Date. And if you have additional ideas for Artist Date activities, or would like to share your own Artist Date experiences, please post a comment below. And don't forget--time is running out to enter our Mystery Guest TeachingAuthor giveaway. You must enter by 11 pm (CST) tomorrow, August 16. "An artist date is a block of time, perhaps two hours weekly, especially set aside and committed to nurturing your creative consciousness, your inner artist." Another idea: do something you loved doing as a child that you haven't done in a long time, such as coloring a picture, riding a roller coaster, or going out for an ice cream sundae. The key is to HAVE FUN! After finding Jusben's wonderful photography on Morguefile, I may make browsing more photographs there my next Artist Date. For additional suggestions, see these listed on Cameron's blog. As long as I have lived in Georgia, (eleven years now), the state has suffered from drought. I don't remember what a green lawn looks like. My yard (and everyone else's) has turned cornflake brown, with lots of bald spots. Lake levels have dropped until people with "lakefront homes" now have "mud front homes." Fourth of July often includes a ban on fireworks. Even sparklers feel hazardous when everything around you has turned to kindling. The writing life has it's dry spells, too. We all have them, even though we don't like to admit it. After all, we are writers. This is what we do.We are supposed to be endless founts of creativity. We are "supposed" to write every day. When we don't, we feel guilty. OK, I feel guilty. For me, not writing is in the same league with not working out and eating junk food. A few days of not writing and I come down with a bad case of brain fog. My first experience with a dry writing well came at the end of my MFA program at Vermont College. After two years and four drafts, I thought I had finished Yankee Girl. (Wrong. I had another two years and three drafts to go.) Feeling very pleased with myself I jumped right into a new novel. I had a setting and some characters so I thought I was good to go. I wrote the first couple of chapters and sent them off to my faculty mentor, Randy Powell for critique. Randy made his usual cogent comments on the writing, but ended his last letter with a comment I thought odd at the time. Sometimes, after a big project like Yankee Girl, he wrote, it's good to let the creative well refill. What was he talking about? A year and another "finished" novel later, I figured out what he meant. I had three hundred pages of writing; I didn't have three hundred pages of a novel. I'd pushed myself to write a novel, when I really didn't have a novel in me at the time. Sigh. Fortunately, by then I was working with an editor on yet another revision of Yankee Girl. From those three hundred pages (which are still lurking in my hard drive) I learned to let a story simmer on a back burner awhile. Writing Yankee Girl drained me, emotionally and creatively. I should have given myself some time off. I should have let my well refill, as Randy had suggested. However, time off can turn into goofing off. You can't just sit around waiting for rain to refill your well. The trick is to keep writing, keep priming the pump until you get your mojo back. I should know. I am halfway through my current work-in-progress. For a variety of reasons, I am too creatively pooped out to do the story justice, right now. So what am I doing? Writing this blog, for one thing. Knowing that I will be talking to you all every other Monday has kept me going. I am also lucky enough to have a series of Young Writer's Workshops lined up for this school year. Working with students always energizes me. But what if you don't write a blog or have a continuous supply of workshops and school visits to keep you sharp? What if you don't have the time or energy to journal for even fifteen minutes? What is it like to be an Olympic athlete at the closing ceremony? All of these things triggered my curiosity. Will I remember them if I don't jot them down in my journal? Of course not. Do I have time to write a full journal entry about them? No. But making myself observe three things a day, keeps my writer's sensory circuits open. It's the writer's equivalent of taking a ten minute walk in place of a full work out. This daily exercise keeps me from drying up and giving up. I will continue to write down my "three things a day." Eventually I will discover that drop by drop, my well has refilled. Here's to ending the drought! I still remember how something shifted inside of me, back in kindergarten, the moment I realized that the 26 letters on those dark green cards stapled in a row above the chalkboard were enough to create every word I’d ever heard. And, what?! Reading was simply a matter of knowing the sounds of those letters? Ding! I was hooked. Before long, some of my best friends lived in books. I loved writing stories, too – little dramas about lost bears, frightened owlets, marauding raccoons (camping weekends and Disney nature movies were big in my family, can you tell?) So writing stories was an early passion, but one that got lost along the way in the busyness of life. It wasn’t until I started reading picture books to my own kids that I recalled those bone-deep storytelling roots and was bitten by the maybe-I-could-do-this bug. I took a short class at a local community college called The ABCs of Writing for Children, then proceeded to dive in – making a lot of mistakes. Oh, so many mistakes. (I once submitted an unfinished story hoping an editor would like it enough to help me come up with an ending.) I read dozens of writing instruction books, absorbed wisdom at writing conferences, and, every so often, received rejection letters that included pointers that simultaneously enlightened and mortified. Fortunately forty-five of my poems, stories, and articles were published in children’s magazines over the next few years, but I was still struggling to write a picture book story that somebody besides my dog enjoyed. One writing friend dubbed me The Rejection Queen, not just because I got so many (which I did), but because I was so cool about them – those babies just bounced off my Teflon skin. After four and a half years of pouring heart and soul into the effort, I finally received The Call. When I heard that my Stink Soup was going to be published, I fell into chair, hyperventilating. The editor instructed me to find a paper bag to breathe into, then waited while I did so. Yep, one cool customer. In the ten years since The Call, I’ve taught many workshops, including an ongoing one at the University of Iowa’s Summer Writing Festival, and spent five years as an instructor for the Institute of Children’s Literature. I co-host the Whispering Woods Picture Book Writing Workshop/Retreat each July and also do private critiques for aspiring picture book writers. Turns out, I love teaching as much as writing. And when a story I’ve critiqued earns another writer The Call? That’s almost as exciting as getting my own, way back when. Minus the hyperventilating. My twelfth book will be published this fall. Yet writing still isn’t – and never will be – a job to me. Like reading the best stories, trying to write them leads to unexpected adventure, loads of fun, occasional mayhem, and many serendipitous moments of joy. . . .
Like being invited to join these TeachingAuthors I’ve long admired. Yay! Wait, don't go! Remember our mystery guest? If you haven't yet entered to win a copy of Sylvia Vardell's The Poetry Teacher's Book of Lists in our current book giveaway, please do! Drum roll, please! Meet our newest TA! 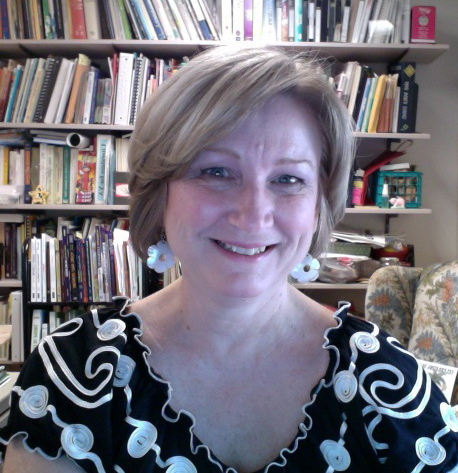 Please join me in welcoming our newest TeachingAuthor, Jill Esbaum of Iowa City, Iowa! 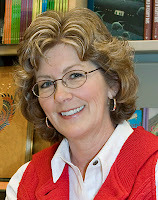 She not only authors award-winning picture books, such as Ste-e-e-e-eamboat A-Comin’! (Farrar, Straus & Giroux) and To the Big Top (FSG), as well as a National Geographic nonfiction series; she also teaches her own Picture Book Workshops and in the University of Iowa’s Summer Writing Festival. She’s served as an instructor for the Institute of Children’s Literature too. I’ve been a True Fan of Jill, her writing and her teaching since SCBWI first connected us oh, so long ago. Click on ABOUT US to learn about our newest TA. Then visit Jill’s website to learn even more. And be sure to read Jill’s first TeachingAuthors post this Friday. My fellow TAs and I thank the Universe Jill stepped up to fill the shoes of JoAnnEarly Macken, a TeachingAuthor original and our first alum. But best of all, lucky you, our readers! 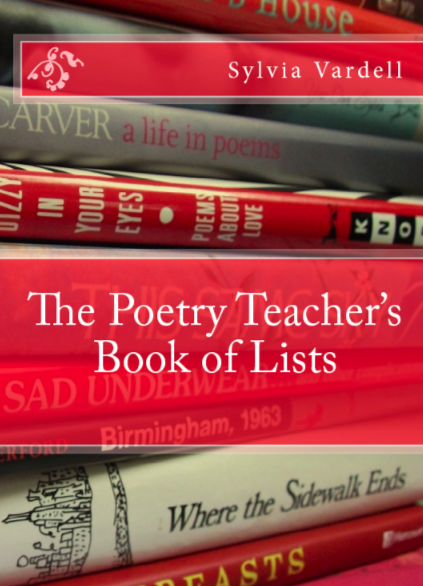 And speaking of you, our lucky readers, time’s running out for one among you to win a copy of Sylvia Vardell’s The Poetry Teacher’s Book of Lists in our current Book Giveaway. 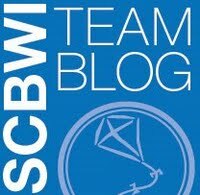 Now that you’ve entered our Book Giveaway, join me as I vicariously attend the 41st SCBWI Conference, held this past weekend in LA. I’m still disappointed I was unable to attend this once-a-summer event that every August changes my Writing Life, connects me to my Children’s Book World Community, helps me hone my craft and lets me dance like no one was watching. Friday, August 3 with editor and publisher Arthur A. Levine’s opening keynote address to the closing celebratory Autograph Party Sunday, August 5. Thanks to Lee Wind and his SCBWI Team Blog for making my attendance and yours possible. And if you and your fingers are still itching to learn more online about Writing for Children, you can join me next week for WriteOnCon, an online Children’s Writer’s Conference created by writers, for writers, Tuesday and Wednesday, August 14 and 15. I’m happy to report the cost is free! The bench you parked yourself on to vicariously attend the SCBWI LA Conference will still serve you well. The conference schedule is designed around writers' working hours. Everything takes places within the conference website. Lectures, panels and key note addresses, by editors, agents, authors, illustrators, are presented as blogs, vlogs, moderated chats, webinars, podcasts and livestreaming. There’s also a critique form, where participants can post query letters and writing samples. And, finally, should you be a do-it-aloner, and even if you’re not (! ), it’s not too late to plug into Laure Halse Anderson’s Write 15 Minutes a Day Challenge at her Mad Woman in the Forest blog. when the learning is eas-ier…. Break a pen (or key), Jill! It's that time of year... Today I turned in my syllabus for the fall semester. Oh, summer, I miss you already. Of course we've all been engrossed in the Olympics this week, cheering for Michael Phelps (hometown boy), Gabby Douglas, and all the rest. Looking at track, at gymnastics, at swimming, it occurs to me -- you can be a breast stroke specialist and so-so in the free; outstanding on the vault and a little shaky on the beam. Like "sport," writing involves a HUGE compendium of skill sets that need to come together in a rather miraculous way to make even a passable final product. Like athletes, writers have coaches (editors) and fans; we also need to put in our time (thousands of hours) and sweat. Unlike athletes, we have more than one chance on the big stage to get it right. Hallelujah. This is great news! Yet trying to convince my students that editing is not only important but a gift remains one of my biggest teaching hurdles. This week I've worn my article-writer hat; my scriptwriter hat; my picture book writer hat. I just signed up for a romance writing class this fall, so we'll see whether I have a romance writer hat in my closet. However, my teacher hat is rather new and stiff still. I find that one of the greatest challenges in college comp is teaching students global skills and grammar skills; research skills and sentence-level editing. Some students have had many of these skills since they were very young; others don't know where to put periods or apostrophes. However, some who struggle with grammar are still among my strongest writers on a global level. And how do you differentiate instruction for students you see for a whopping two-and-a-half hours per week? Whew! I have spent the last week contemplating last year's syllabus -- what worked and what didn't? What do I want to keep, tweak, revamp, delete? One exercise that was fairly effective last year involved introductions and conclusions. Many introductory comp students have had the five-paragraph essay format effectively drilled into their heads. They think they are required to write an introduction that concludes with a three-point thesis; that the introductory sentence of each of the next three paragraphs should repeat one third of the thesis statement; and that the concluding paragraph should begin with a restatement of the thesis statement, going on to summarize all that has come before. Many students are shocked when I suggest that it is not good practice to say the same thing three times; in fact, many are shocked by the mere notion that they can write more than or fewer than five pargraphs in one essay. We spend much of the semester working toward the notion that the five-paragraph format is a template that can be molded to a variety of shapes, forms, and purposes. Our textbooks concentrate on suggestions for making introductions and conclusions more interesting: start with dialogue; start with a story; start with an interesting fact. In the final paragraph, end with a story; bring your reader back to the beginning; offer a tip or a suggestion; look toward the future. Rewrite your introduction once, and then do it again. Use two different techniques (anecdote, interesting fact, etc.). Which do you like best? Have a peer read all three of your introductions. Which does he/she like best? Rewrite your introductory paragraph, using the best of all three iterations. Repeat the process for your concluding paragraph. Voila -- revision in action! Last but certainly not least -- don't forget to enter our latest Teaching Author Book Giveaway! Mystery Guest TeachingAuthor And Book Giveaway for Poetry Friday! Howdy, Campers! And...surprise! Following the success of our first Mystery Guest TeachingAuthor which Carmela Martino posted last Friday, here's our second ever Mystery Guest TeachingAuthor (MGTA)—complete with his/her Writing Workout and a fabulous Book Giveaway! OMG. I'll bet you can barely stand the excitement. The details about the giveaway are below, but DO NOT GO THERE YET. If you do, you'll find out who our MGTA is and blow the whole deal. Then let us know if you figured out who this most amazing lady is, either by commenting below, or an email. Today's MGTA is a Professor in the School of Library and Information Studies at Texas Woman’s University and has taught graduate courses in children's and young adult literature at various universities since 1981. She has published extensively, including five books on literature for children [including—remember, no clicky-clicky—Poetry Aloud Here! Sharing Poetry with Children in the Library (ALA, 2006), Poetry People: A Practical Guide to Children's Poets (Libraries Unlimited, 2007), and Children'sLiterature in Action: A Librarians Guide (Libraries Unlimited, 2008)], as well as over 20 book chapters and 100 journal articles; she's recently co-edited several ground-breaking e-anthologies of poetry for children. In addition, she edits for Librarians' Choice. 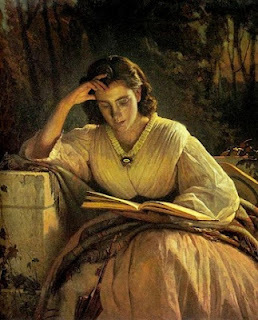 Is this woman is making you tired, just reading about her? And there's more: her blog is full of tips and news (and poems) that help spread enthusiasm for poetry, and it has become a touchstone—the go-to blog in the field of poetry for children. What a treat to be featured on Teaching Authors! My mom tells me I started teaching neighbor kids when I was about 6, but it could be I was mainly bossing them around! My first paid gig was teaching sixth grade. Then I went to graduate school, loved it, and started teaching adults. I really enjoy working with both educators AND kids and have been doing it for 30+ years now. I enjoy academic writing and lean toward the more pedagogical type rather than pure research. Helping teachers keep up with the latest trends and techniques is very rewarding. My focus has always been on children’s literature, sometimes generally (in my textbook, Children’s Literature in Action) and sometimes on specific genres—like poetry, my primary passion. 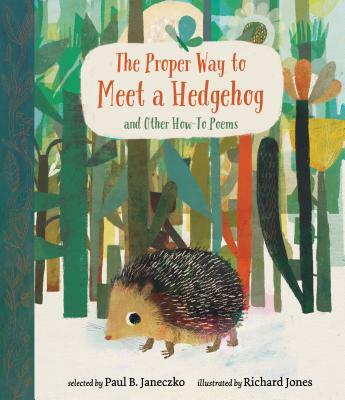 I’ve written several books about poetry for children in hopes of giving those who feel uncertain about (or resistant to) poetry the tools they need to enjoy and share it in fun ways with kids. This has led me to blogging; I am also the regular “Everyday Poetry” columnist for ALA’s Book Links magazine and serve as a consultant to the Poetry Foundation. 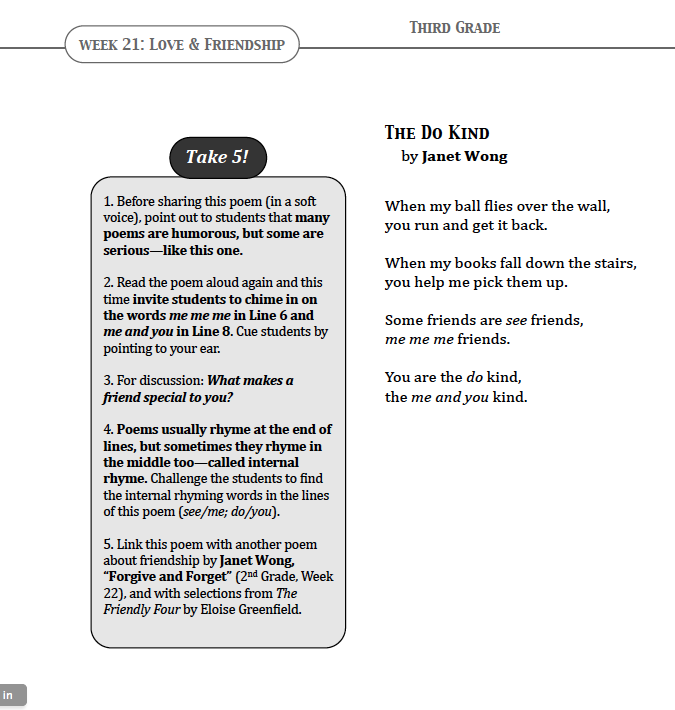 Poet and friend Janet Wong and I launched a biggie last year with the first digital e-books of poetry for young people, our Poetry Tag Time trio. I’m so proud of those—particularly since they are traveling around the world and are a bit hit in Australia and Kenya, in particular. come back and try cutting out the first sentence or first paragraph. Let the next sentence (or paragraph) be the beginning. How does it sound? I find that I am often a bit wooden and cumbersome in the “set up” and cutting that off, leaves a fresh, more energetic sentence. The same is often true at the end. I say what I need to say, but then ramble. Read it again. Have I ended with what is most important and stopped with a fresh image or turn of phrase? Then stop. And my final tip? Even after that, I sometimes flip those two pieces—moving the end to the beginning and the beginning to the end. How does that feel? I sometimes find that it took me awhile to figure out my point (and say it well), but I really need to have that strong statement at the beginning, rather than at the end. These are not absolute, of course. But it can help me look at my work with fresh eyes and see those words and sentences as more malleable than I thought at first. Thanks for this Writing Workout, MGTA! Campers, we'd like to know if you try this exercise—please comment below or or email us! Now, finally, it's time for the big reveal. I met Sylvia many years ago at a conference through Janet Wong and I've been a friend and admirer of her ever since. Readers, how'd you do? Did you guess who our MGTA was? We'd love to hear what you think of our new feature. Appropriately enough, Sylvia would like to share a poem today from The Poetry Friday Anthology (edited with poet Janet Wong) (available Sept. 1). Isn't this a great cover? you run and get it back. you help me pick them up. the me and you kind. April says: Be a "do kind" of FOP (a friend-of-poetry)—or an FOTOP (a friend-of-teachers-of-poetry)—and arrange for your PTA or school district to buy a copy in September for every K-5 teacher! Thank you, Sylvia, for being our second Mystery Guest TeachingAuthor, for sharing such a terrific Writing Workout with us, AND for offering a Book Giveaway to our readers! 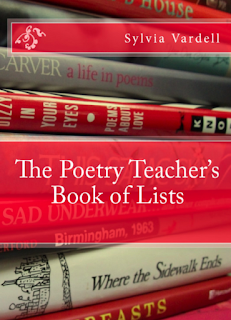 The Poetry Teacher's Book of Lists is jam-packed with poetry bibliographies and research-based strategies for selecting and sharing poetry with young people (ages 0-18). 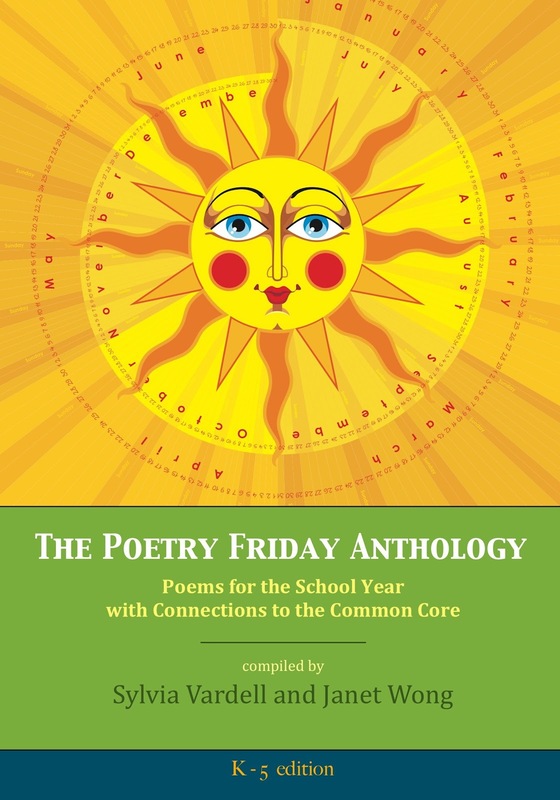 Need help finding the perfect poem for a holiday celebration or a science unit? A funny riddle poem or a bilingual poetry book? This book contains 155 different poetry bibliographies and lists of research-based strategies featuring 1500 poetry books for children and teens (ages 0-18). Pretty cool, huh? For more info, check out the dedicated blog. Is your mouth watering yet? Do you want to win this book? 1. Comment on today's post or enter by sending an email to us at teachingauthors [at] gmail [dot] com with "Book Giveaway" in the subject line. Tell us why you'd like to be the lucky winner. Will you be keeping it for yourself or sharing it with a colleague or friend? 2. You must include contact information in your comment. If you are not a blogger or your email address is not accessible from your online profile, you must send us a valid email address in your comment. Entries without contact information will be disqualified. Note: The TeachingAuthors cannot prevent spammers from accessing e-mail addresses posted within the comments, so feel free to disguise your address by spelling out portions such as "dot" and "at." 3. You must send us your post by 11 pm (CST), Thursday, August 16th. Winner will be chosen at random and announced on Friday, August 17th. Note: Winners automatically grant us permission to post their names here on the TeachingAuthors website. 4. You must have a mailing address in the United States. 5. You must respond to the notification e-mail and provide a mailing address within 72 hours, or the prize will be forfeited and an alternate winner chosen. for hosting Poetry Friday this week!